Homegrown, local breweries can be found across all four of the major islands of Hawaii, producing craft beer of high quality with various ingredients that are unique to the Hawaiian islands. These craft breweries on the islands offer quite a few beers that visitors probably haven’t tasted anything like them before. Situated on Oahu in Kaka’ako, the Aloha Beer Company is a local Hawaiian brewery. The brewery was established by Steve Sombrero, and has Brewmaster Dave Campbell at its helm. Aloha Beer Company, boasting roots deep in the past’s traditions, is dedicated to the craft brewing future in Hawaii. The Tap Room at the brewery offers several styles of beer brewed in-house, as well as crafted cocktails. The Aloha Beer Company menu features dishes designed to pair with, and inspired by, the brews crafted by the brewery. Several menu options include beer as one of the ingredients. Dishes include shared plates, sandwiches, and salads. 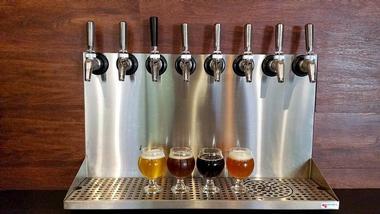 Beer Lab HI is a locally owned and operated craft brewery in the city of Honolulu. 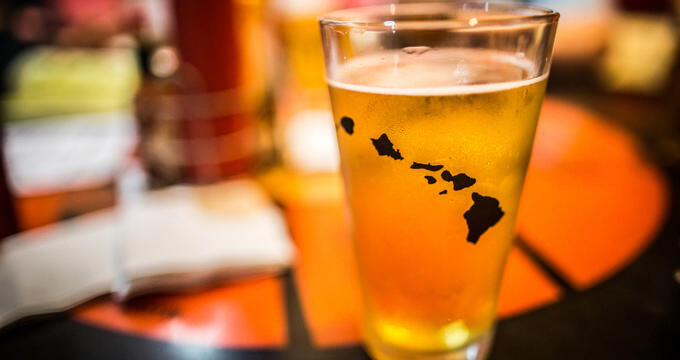 The brewery and tasting room are conveniently located by the University of Hawaii. The beer tap list at the tasting room changes often, so visitors are encouraged to check the Beer Lab HI website for a list of what is currently on tap. The tap room is also a Bring-Your-Own-Food, or BYOF, establishment. Guests can bring their own food or order take-out from one of the neighboring eateries. Beer Lab was created on the ideas of small batch brews, experimentation, and continual change. 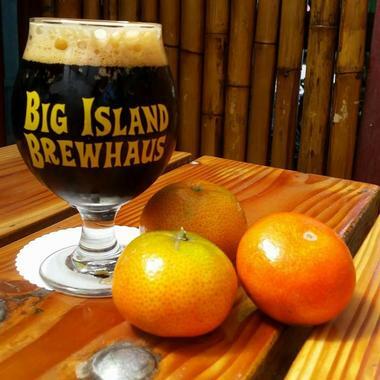 The Big Island Brewhaus is an award-winning brewery that creates beer using the traditional method of brewing, but pushes established beer styles with imagination and creativity, a pursuit of character and excellence. The Brewhaus also offers a menu of handcrafted, fresh, locally sourced food that’s just as delicious and creative as the brews. Big Island works closely with local fishermen and farmers, as well as ice cream, bread, and cheese makers. Visitors can try a wide variety of beer styles in 3.5-ounce samplers, flights, half pints, pints, and possibly even goblets, including lagers, porters, pilsners, stouts, IPAs, and more. Geoff and Charmayne Seiderman opened the Honolulu BeerWorks craft brewery in the Kaka’ako neighborhood in 2014. The focus has alway been on using unique imported and locally sourced ingredients in the brews craft at the brewery, producing a variety of different beers. The couple brought the process of barrel-aging to Oahu, in addition to Belgian-style ales and fresh-hop beers. The brewery features local artwork, recycled wooden walls, communal bench seating, an open-air brewpub, and two beer gardens. The food options at the brewpub are made with fresh ingredients and are designed to be a perfect complement to the beers. 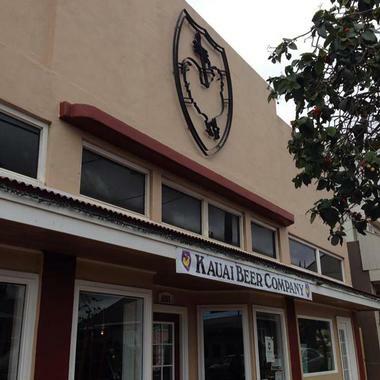 The Kauai Beer Company opened in Lihue in the fall of 2013, and is now a beer destination for both visitors and residents alike. The microbrewery is a neighborhood brewery, producing artisan batches of quality craft beer that is served in an inviting and relaxed setting, making everyone feel right at home while they enjoy their beer. The menu of snacks at the brewery rivals the creativity of its brews, and is possibly a reason in itself for a visit to Kauai Beer Company. From the start, the craft microbrewery has defied any convention and has let the beer instead lead the way. 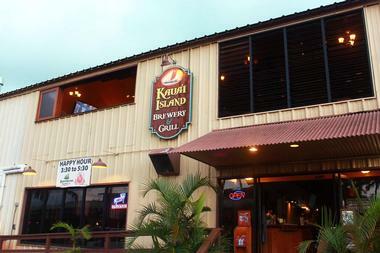 The Kauai Island Brewery and Grill is a brewpub and microbrewery located on Kauai Island in Port Allen. The brewery boasts a copper-clad showcase brewhouse that contains up to ten or more housemade beers on tap, as well as several guest beers on rotation. The pub menu offers an assortment of burgers, sandwiches, wraps, salads, soups, appetizers, and entrees. There is also a keiki menu for children. The full bar offers cocktails, mixed drinks, and wine. A game room is upstair with six different themed pinball machines and retro game consoles with games like PacMan, Asteroids, Donkey Kong, and more. 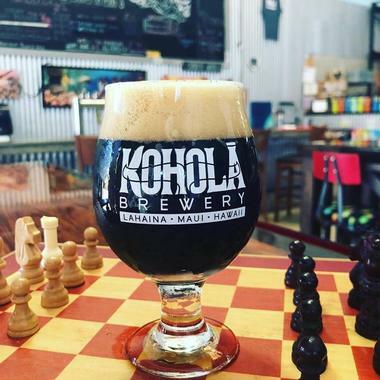 The mission of Kohola Brewery is “To Inspire Aloha, One Brew, One Beer At a Time.” Kohola is an independent, local craft brewery situated in the main area of Lahaina on the island of Maui. At this brewery, they believe that everything else can be made better by good beer. Beers produced by the Kohola Brewery are served at over sixty places throughout Hawaii, and a lot of passion and heart is poured into every pint at the brewery. Kohola is a twenty-one and over facility, meaning no minors are allowed at the brewery. Only service animals are allowed. 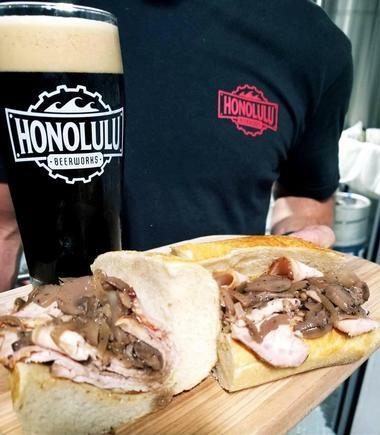 The Kona Brewing Company has more than one location on the Hawaiian islands, offering plenty of beer and food across its locations. The brewery produces mainland draft beer and bottled beer in Portsmouth, New Hampshire and Portland, Oregon as well in partnership with the Craft Beer Alliance. Kona also has a brewing partner located in Fort Collins in Colorado. Tour are offered at the Kona-Kailua Brewery, located on the island of Hawaii, with times available on the brewery’s website. Visitors at the brewery must be at least fifteen years of age. The brewpub first opened its doors in 1998. 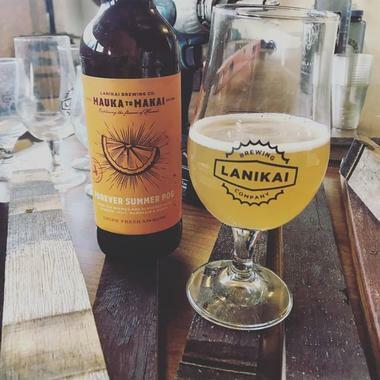 The Lanikai Brewing Company produces one hundred percent of its beers in Hawaii and is an authentic, “Island Inspired” Hawaiian craft beer brewery. Cues are taken from exotic, rare, local, and premium ingredients that are sourced throughout the Pacific to bring flavorful and bold brews that people won’t find anywhere else. The community-based craft brewery features a tasting room that overlooks the brewery’s production floor. The tasting room is open on Thursday and Friday from 4:00pm to 9:00pm, and on Saturday and Sunday from noon until 6:00pm. Guests can try samples of beers, fill growlers, and buy bottles. Guided tours of the Maui Brewing Company are available on a daily basis from the Tasting Room in Kihei. The brewery tour lasts around forty-five minutes in duration and provides a more up-close look into the brewhouse, packaging line, and cellar. The guided tours end with a beer tasting of the flagship beers led by one of the Guides. There are several tours that happen throughout the day beginning at 11:30am and the last one at 3:15pm. Guests should arrive twenty minutes before their tour time, as unclaimed reservations are filled starting ten minutes before the tour starts. The intensity of the Hawaiian Sun leads to clouds on Mauna Loa and Mauna Kea, resulting in an abundant amount of rain. 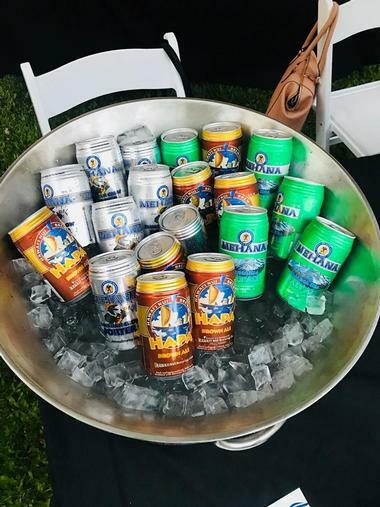 The pure rainwater, which is filtered by the volcanic rock, serves as the foundation of the beer created by Mehana Brewing Company. This allows the brewing to produce craft beer inspired by the island. The facility was formerly the Hilo Soda Works back during the 1920’s. One of the original owners’ grandson decided to attempt brewing beer during the 1990’s. This led to the creation of Mehana. A variety of styles of beer can be found at the brewery. 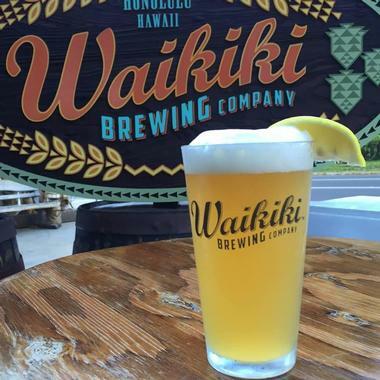 Waikiki Brewing Company is the first brewery in Waikiki. Located within the city of Honolulu on the Big Island of Hawaii, the brewery produces handmade, fresh, quality, premium craft beer in its seven-barrel Brewhouse. The core beer lineup at the brewery consists of nine beers that range from a robust, dark porter to a crisp, light blonde brew. All beers at the Waikiki Brewing Company are brewed in house, which visitors have a full view of from the brewpub bar. Guests can enjoy a refreshing pint and watch the beers being made. There is also a location in the Kaka’ako neighborhood. Kona Brewing Co., Photo: Kona Brewing Co.
Maui Brewing Co., Photo: Maui Brewing Co.